If you are a technician, teacher or student and interested in obtaining new or improving on your existing skills then the 2013 technical training courses provided by Stage Electrics is ideal for you. Stage Electrics has been successfully delivering training for a wide range of technical entertainment disciplines nationwide for over 10 years. 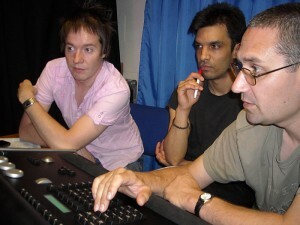 New courses include "Getting to Grips with Sound"- a one day course aimed at professionals within the education sector providing an understanding of the fundamentals of sound and audio reproduction. In addition training topics include courses and workshops on lighting design, moving lights, pyrotechnic safety awareness and working at height (ladders and tallescopes) and accredited PASMA training. Bespoke and individually tailored informal courses held at the customers venue, particularly on stage lighting, form an essential part of the company’s annual training programme. These cost effective and efficient training methods have proven successful for customers wanting their new and existing staff to be trained on their in house theatrical and technical equipment. Geoff Parsons from Oasis Brightstowe - Bristol commenting on the on-site training for four staff at the Academy said: "Superb, clear, concise and focused and the team were able to ask specific questions on this informal training session and received a helpful answer."